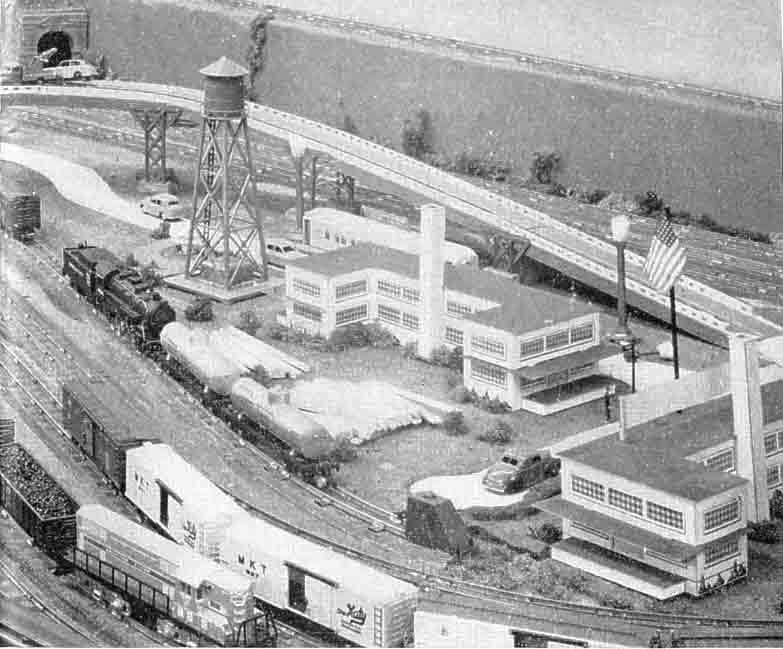 The New York City Gilbert Hall of Science, pictured here, had a large train layout on the main floor along with displays of Erector and Science toys. 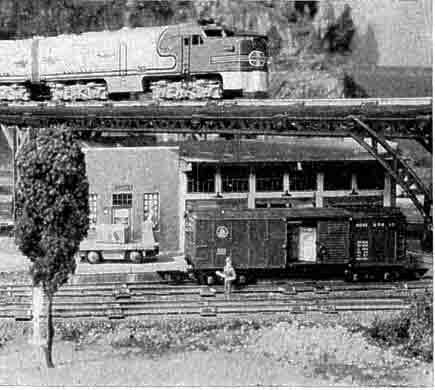 On the second floor was another train layout not open to the public, it was reserved for salesmen, buyers and selected guests. Work shops and offices occupied the remaining floors. All the Halls of Science had been closed by 1966. There were at least three 1st floor layouts built between 1941 and 1956. 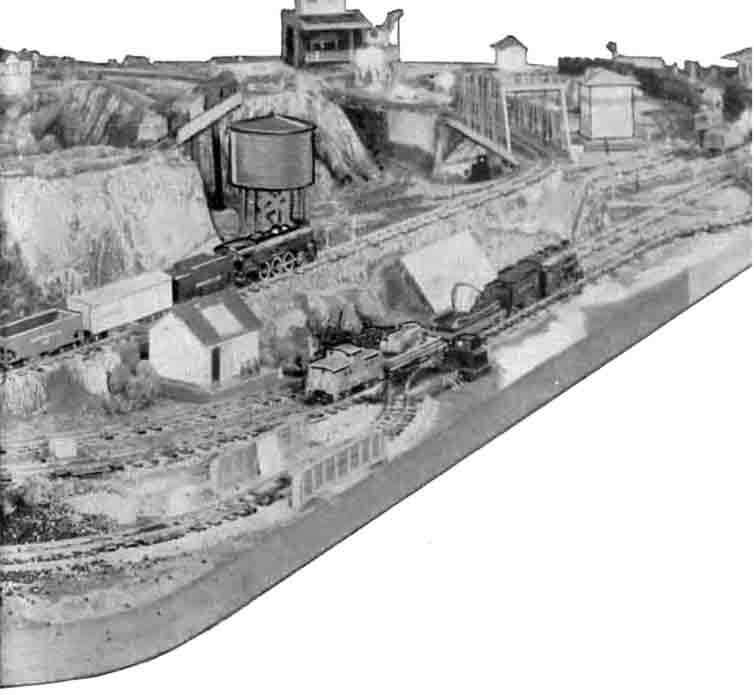 The first layout was "O" gauge and the last two were "S" gauge. 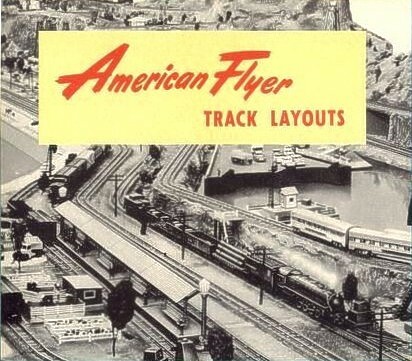 The placement of the layouts also change. 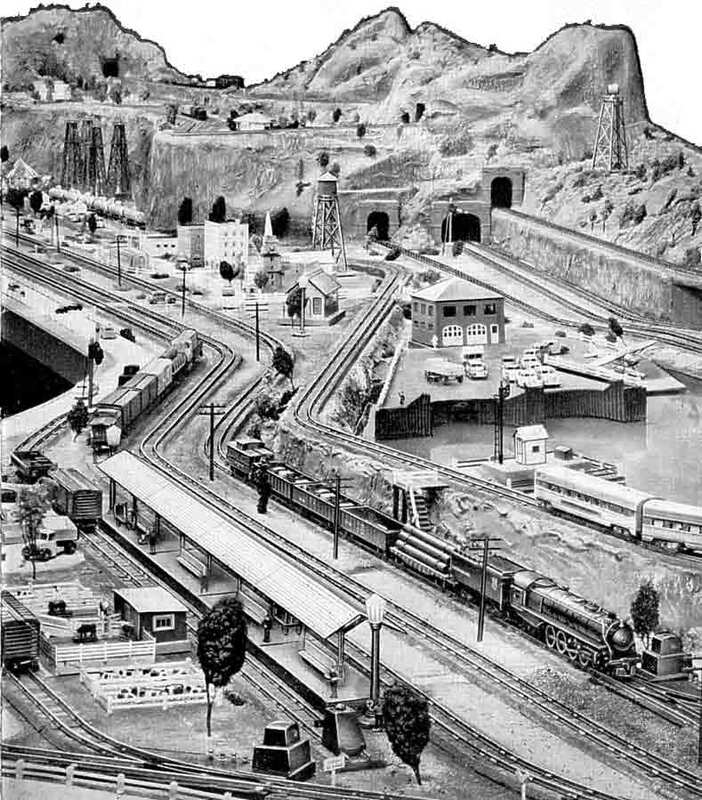 The third layout was place on the back wall to the left of the front entrance. 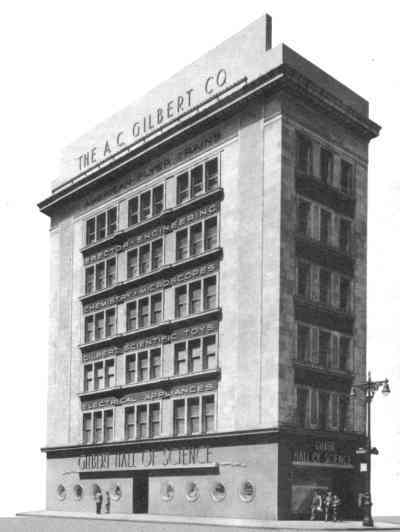 It extended from the plate glass windows on the 5th avenue side of the building to just before the reception counter and elevator, which were opposite the front entrance. There was a port scene with real water and a tug boat that could be viewed through the plate glass windows on the 5th Ave side of the building. 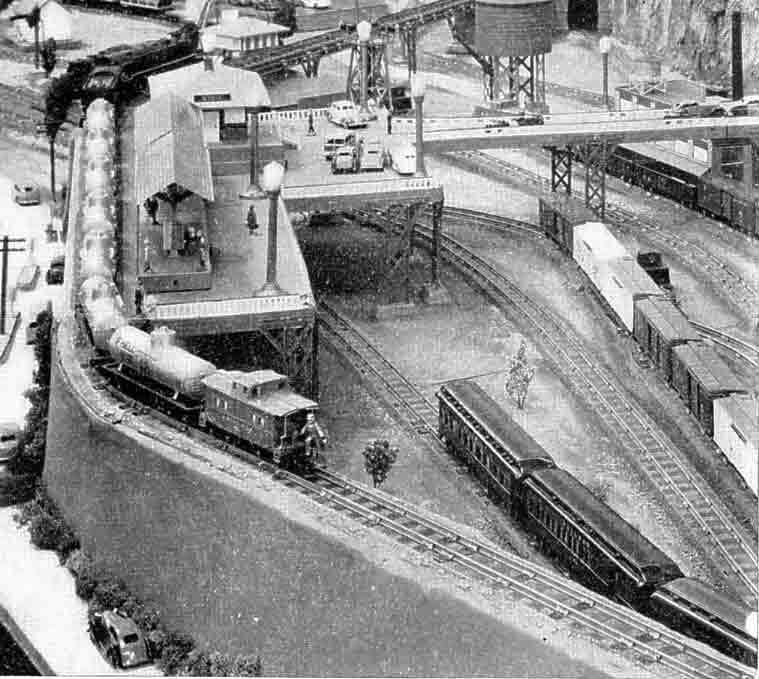 There was a raised mountain feature to the right hand side of the layout with a loop of track, that had a circus set running. 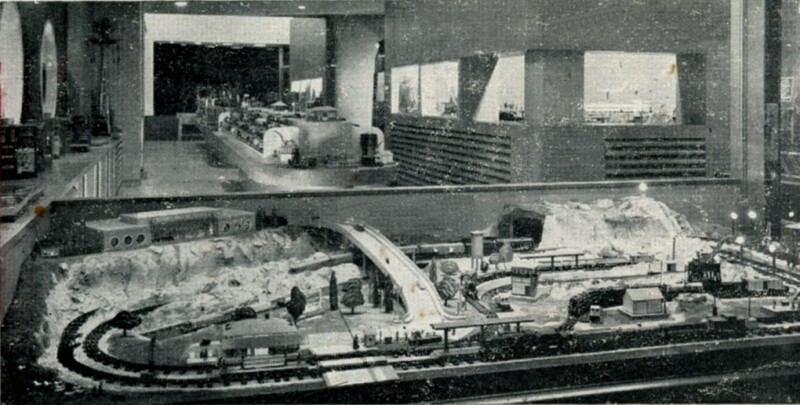 Along the entire front of the layout was a glass partition to prevent anyone touching the trains. 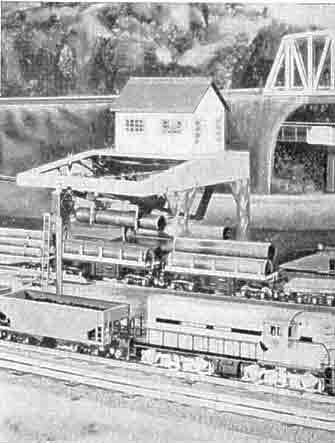 Also placed along the front side of the layout were glass enclosed boxes that contained operating accessories. A control button was included so visitors could operate the accessories. 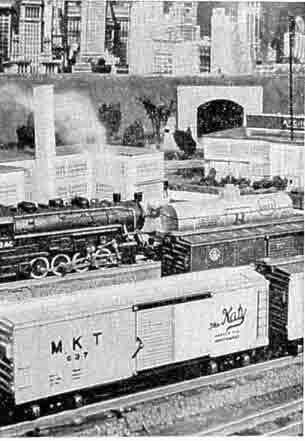 Also included on the 1st floor were numerous displays of trains and all the other Gilbert Toys, ERECTOR, Chemistry Sets, etc. 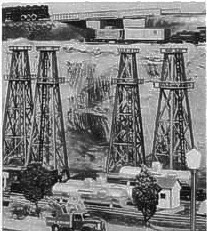 Some of these were displayed within the Porthole windows and the windows on the Broadway side of the building. The second floor layout was closed to the public. It was used to display the new items each year for salesmen and buyers. 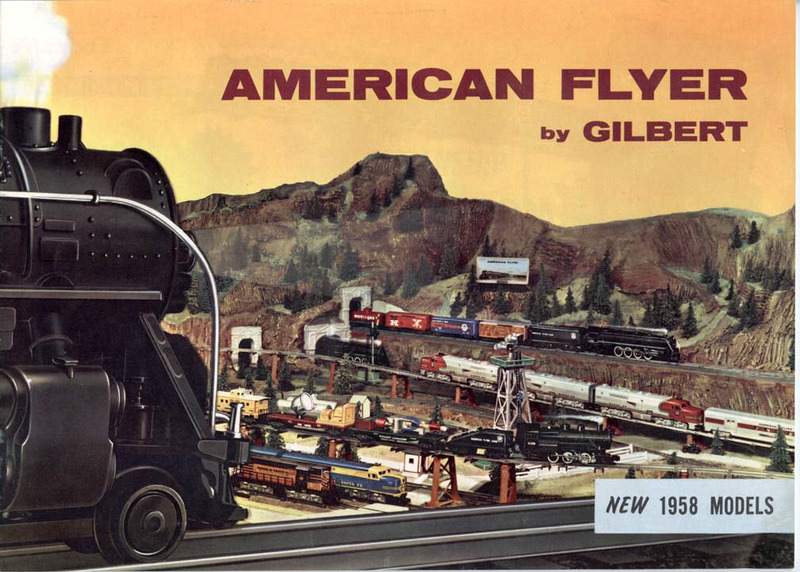 Each year Gilbert would add new items and new displays. 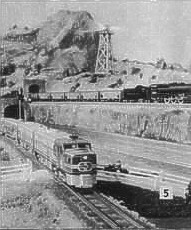 The entire room was redecorated sometime prior the 1956.
he photos show link coupler equipment, taken prior to 1953. 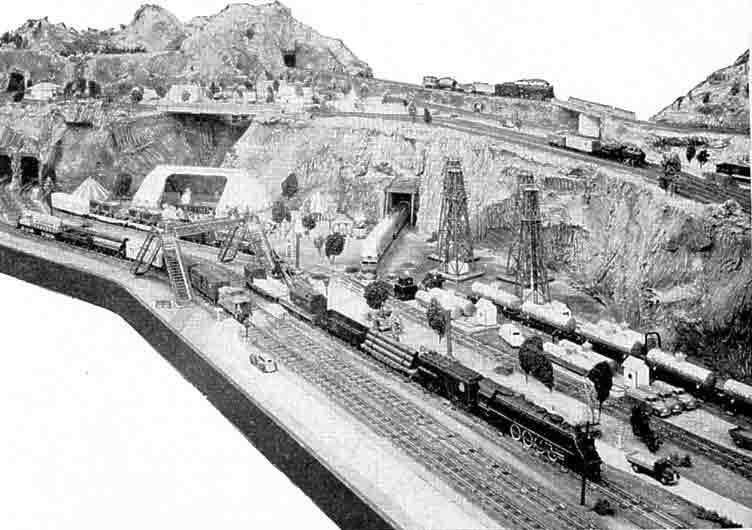 This area of the layout, where the stockyards are located was used to display the new accessories and had control buttons so they could be operated. 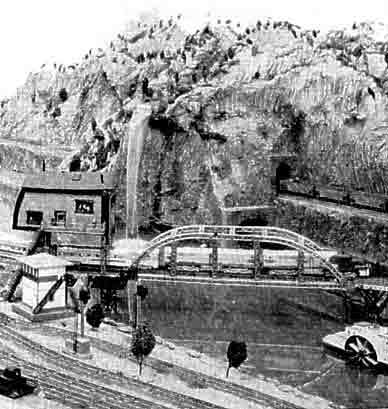 In 1956 the Sawmill, Oil Drum Loader and Milk Car had been added. Also in 1956 a small table was located just in front of the elevator. 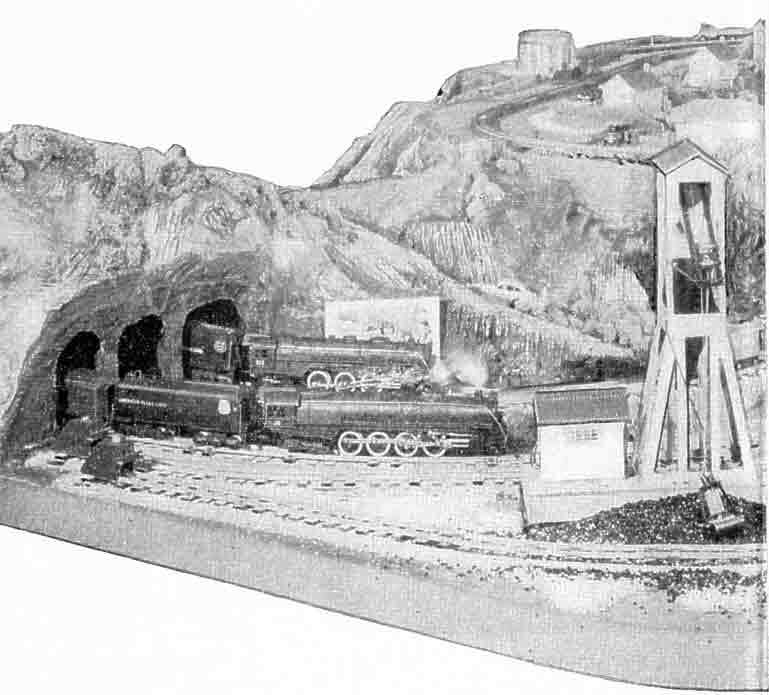 The table had a loop of track on which was a Pennsy 0-6-0 with a rocket launcher car. A crescent moon was attached to the ceiling just above and by pressing the control button, the rocket was launched at the moon. Also a Cow on the Track was displayed.